Principal Cast : Warren Christie, Lloyd Owen, Ryan Robins, Andrew Airlie, Michael Kopsa. Synopsis: Three NASA astronauts are sent to the moon on a top secret Department of Defense mission, only to find that they aren’t alone on our lunar neighbor. What we think : Cleverly filmed “found footage” flick, with a limited cast but a heightened sense of terror, Apollo 18 is a somewhat schizophrenic affair laden with dubious effects and a brazen jump-cut fright mentality. The characters are fairly generic, the use of technical lingo and jargon is deadening to the pacing, and the overall feel of the film is “Cloverfield In Space”; having said that, there are moments of genius in this, even if that genius goes unrewarded by a more compelling narrative. 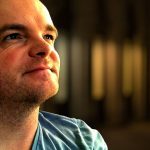 I’m being followed by a moon shadow…. There’s a reason we didn’t go back to the moon. I doubt it was as a result of Apollo 18, but I’m sure the reason was valid. Conspiracy theorists unite: Apollo 18 has come to add weight to your claims of Government interference in the NASA space programme, interference which may or may not have had something to do with purported “discoveries” on the lunar surface. When NASA cancelled the Apollo programme suddenly, after the return of the Apollo 17 mission, legend must gave grown around the reasons for the programme to be halted; of course, it was put down to funding, but the cynical among us saw darkness and subterfuge in everything the Government did. Apollo 18 gives us the “real” reason the missions to the moon were canned, and it had nothing to do with funding. Apparently, the last bunch of astronauts to venture to the moons surface found something, something we never want to bring back to Earth. Marv, I thought you said this hole was a par 3? Looks more like a par 5 to me…. In December 1974, the crew of Apollo 18 are told their flight has been officially cancelled; unofficially, however, it will proceed with top secret Department Of Defense mission to install sensitive technology on the surface of the moon, technology which will allow monitoring of Soviet activity due to the Cold War. The crew consists of Lunar Module pilot Ben Anderson (Warren Christie), Commander Nate Walker (Lloyd Owen), and Command Module Pilot John Grey (Ryan Robins). 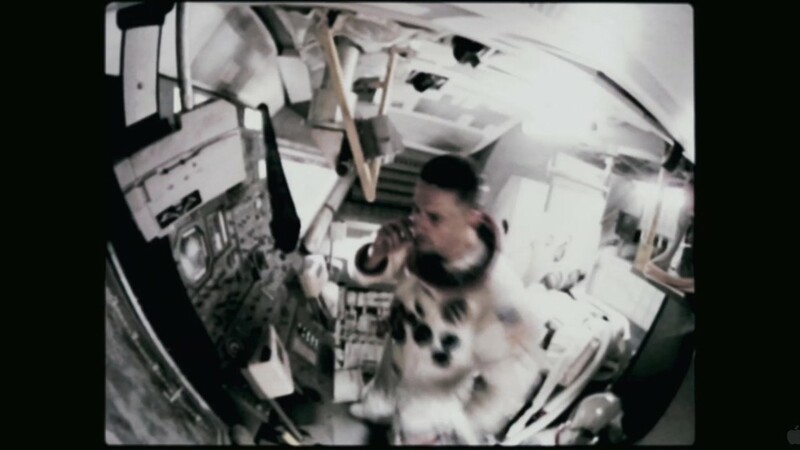 One in orbit around the Moon, Grey will remain on the command module while Anderson and Walker travel to the lunar surface in the Liberty, setting up the sensor arrays before returning back to the Freedom module, and then returning to Earth. 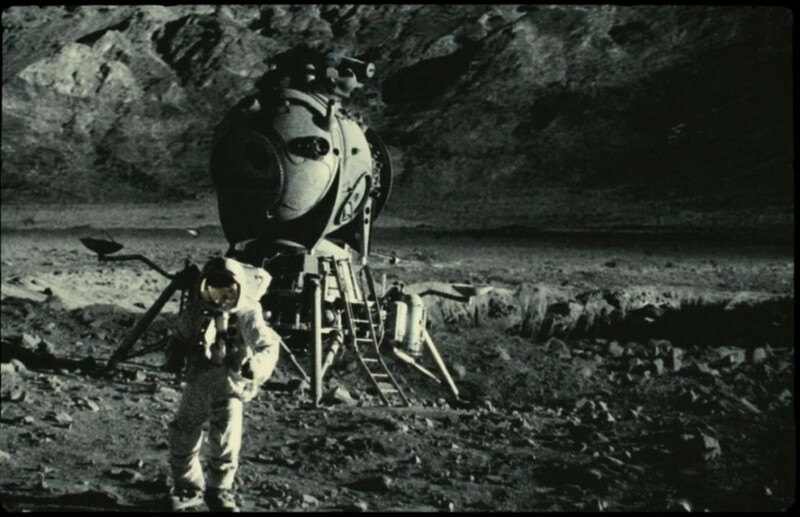 However, upon arriving on the surface of the Moon, Walker and Anderson soon become aware that they are not entirely alone up there. While exploring, they discover a soviet module abandoned on the surface nearby, although there was never any record of the Soviets landing on the moon, and the corpse of the cosmonaut lying dormant in a mysterious crater. What killed the cosmonaut is the primary matter for concern, however, when the same thing begins to happen to the Americans. Say, I wonder if can get drive-thru in this thing? At its core, Apollo 18 is a very simple story. In terms of what is asked of the audience to accept, there’s not a lot that’s new here. We’ve all grown up on documentaries, films and television shows about astronauts and the varied adventures to the Moon. It’s long held a fascination with audiences, this whole space adventuring lark, and usually it’s the kind of thing presented in a fairly arbitrary scientific manner. However, Apollo 18 skirts traditionalism and goes straight for the jugular. Once the astronauts arrive on the Moon, which happens quite quickly, actually, things start to journey from normal, placid Moon adventuring into a terrifying ride into darkness, paranoia and fear. 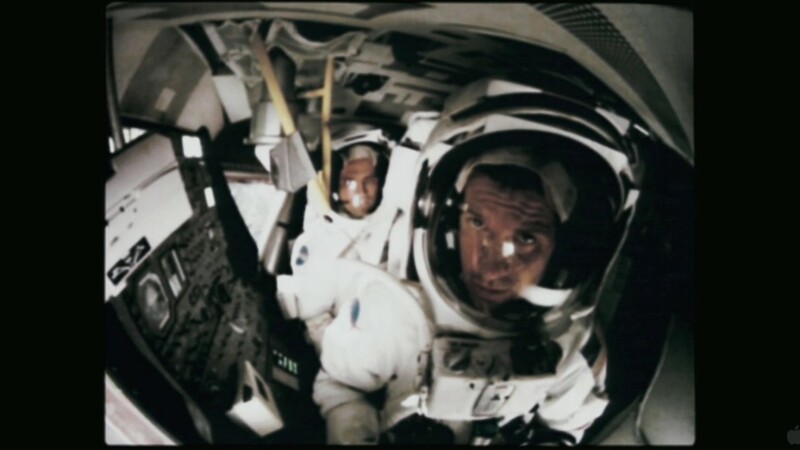 The film is given to us from the multiple cameras installed in the various rocket pods on the journey, external monitor cameras when the lads are on the Moon itself, and the hand-held film cameras the men use to document a more personal slant on the mission. Supposedly culled from nearly 90 hours of footage uploaded to a website back in 2006, the film’s use of the emotion-free security vision style enhances the believability factor off the charts – after all, motionless security cameras never lie, do they? We come all the way out here and there’s no women? Dang! The thrill of a spine-chilling discovery begins slowly, with director Gonzalo Lopez-Gallego keeping things as hidden as possible until he needs to shock us; the subtle use of movement where there should be none is heightened with a discombobulating sound mix – a mix which is in deep contrast to the 70’s setting of the movie itself, relying on heavy low frequencies and a screeching 5.1 mix that’s state-of-the-art. The moments of “boo”, which come later in the film, are well rendered, but it’s the early going which works the most effectively – when we don’t see the creatures. Yes, creatures. There’s something alive on the Moon; call it Pitch Black with moon rocks. It’s the corner-of-your-eye hint of something unearthly that makes you catch your breath, and it’s this style of storytelling that propels the films thrilling narrative along. Trouble is, once the “creatures” actually appear, they aren’t as potent a visual force as they probably needed to be to maintain this level of fear. Didn’t Dr Evil fly one of these things? The three central figures in the film are, by and large, fairly rote astronaut dudes. They’re good old American boys, the square-jawed type so proudly honored by the US public back home; this lack of depth to them ends up hamstringing the films emotional narrative due to inconsistent behaviors when the crap hits the fan, which it does about midway through. 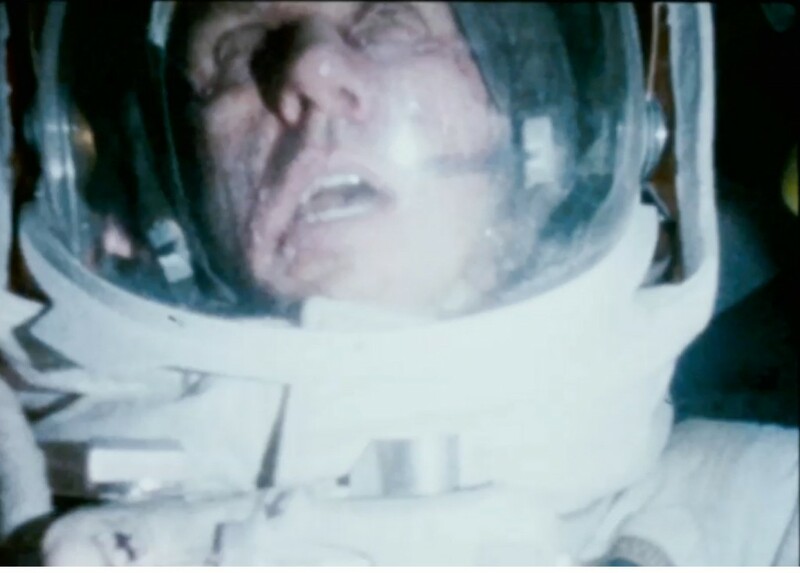 The focus of the latter half of the film is on Anderson, who must deal with his Lunar partner’s rapidly disintegrating physical and mental state, although about the same time the film descends into a screaming, hysteria-ridden exercise that starts to become tiresome quite quickly. Part of the fear of the film is derived from the sheer isolation of the leads: they have no quick escape and cannot be helped by Mission Control due to the vast gulf of distance, and this insurmountable factor creeps into the tension as things go pear shaped. 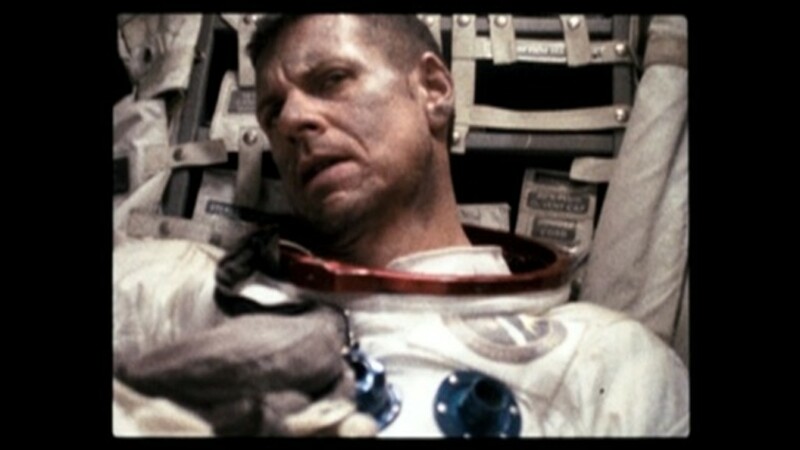 A moment late in the film, with Mission Control effectively giving up on the Apollo astronauts, is wrenching in its dramatic weight. Panic in a tight spot. By and large the film is very effective at what it’s designed to do. Characters aside, the scares are decent, the tension palpable, and the use of the 70’s visual camera style adds credence to the believability of the whole enterprise. The film does run a little too long for my liking – even though the pacing is fairly brisk throughout, by about the 60 minute mark I started to look at my watch wondering how long there was left. It’s not that I wasn’t interested in the story, it’s just the leaden pacing of the non-monster moments, and the fact that the blurry, helter-skelter final panicked moments of the film tend to become indistinguishable from that wobbly-cam style so prevalent these days, and interest in the why’s and wherefore’s began to wane. I’d have liked to see a little more time spent getting to know the astronauts themselves before we’re thrown into the chaos. Chalk it up to a general malaise on the “found footage” genre, but there’s a sense of “seen it” about Apollo 18 that I just couldn’t shake. Sure, the central premise is unique, and the production of it as a film is well done, but delving once again into random shrieking and running from a barely-glimpsed monster has started to grow tiresome. 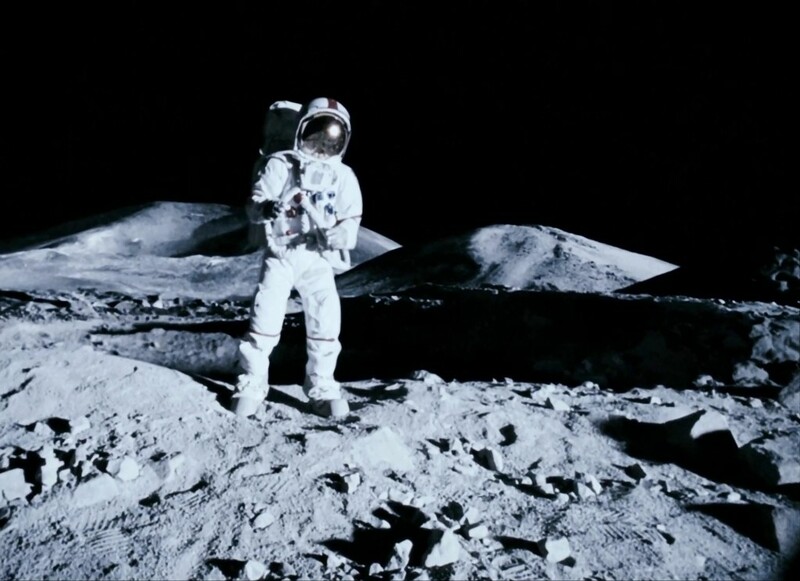 Had Apollo 18 had convincing or well-rounded characters, I’d probably have found this movie to be more entertaining than it was, but in the same way that Diet Coke tastes nothing like real Coke, Apollo 18 feels like a flavorless, genre clone that uses its intriguing premise without much ingenuity outside the kind of stuff we’ve seen before. Whether you enjoy Apollo 18 or not will have a large amount to do of your tolerance for the genre cliches it throws up. I didn't enjoy this one…thought it could have been a lot better. I'm a fan of found-footage in general but it's easily done badly. Apollo 18, for me, is one to avoid. I tried to like it more than I did, but I spent a lot of time picking its faults, and so I had to give it a lower score. I think it was effective, but nowhere near as strong as it should have been. The ending just annoyed me…. Good review Rod. This was just a totally wasted-opportunity on something that probably would have been, and seemed really cool. However, instead, it came off like a total bore that nobody would ever, not even in their right minds, would watch. Myself included. That's the problem, Dan, it DID seem really cool. Problem is, the end product wasn't. Bit like a Star Wars prequel: sounds like a great idea, ends up being a complete disaster.